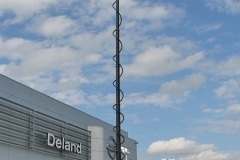 The NL Series of telescopic Hilomast masts has a base section diameter of 5″ and is pneumatically operated by air compressor. The shorter models in this series can be easily operated by a manual foot pump. 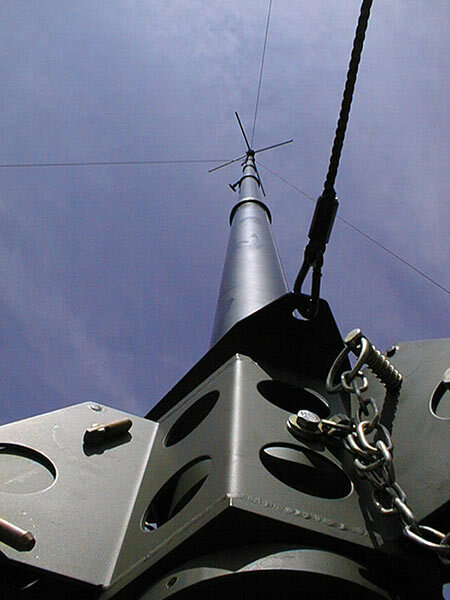 Being heavier than the NK Series, NL Series masts will support larger antennas under more adverse weather conditions. 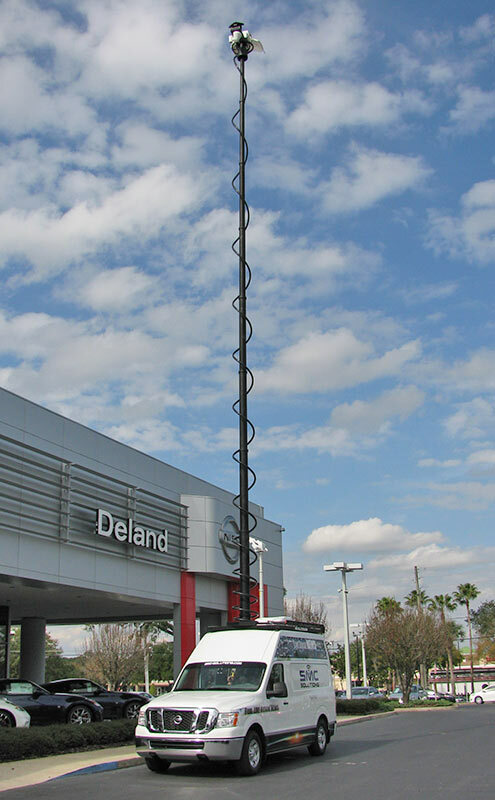 Although NL Series masts can be used for portable applications, they are primarily designed for vehicle installation, either bracketed to the rear, or mounted through a roof bearing. Models NL16 and NL22 can be mounted onto the roof of a vehicle in a sliding carriage. The carriage slides rearwards and the mast is then tilted and clamped in the vertical position. 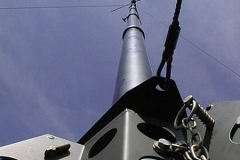 Masts NL8, NL12 and NL22 have a top section diameter of 2″ for attaching antennas. 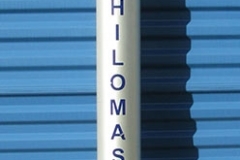 Masts NL9, NL10 and NL16 have a top spigot of 2 inch diameter x 5.1 inches long. Please feel free to contact Hilomast from our “Contact” page of this website, or call Hilomast, (386) 668-6784, and we will be glad to discuss details and/or options on the NL Series or on other competitive products in which we specialize.